If you like parades, downtown Edmonton is the place to be at 11:30 a.m. Saturday morning. There will be 106 entries for the 106th Grey Cup parade. Keefe said they “wanted to build the biggest parade we could for the Grey Cup.” As it turns out, the CN Grey Cup parade should be about the same size as recent K-Days parades in the summer. Because Santa’s Parade of Lights was struggling to attract entries for its event initially scheduled a week ago, their 25 entries were invited to join the first Grey Cup parade since 2015 as special guests, with Santa at the end of the parade, of course. It should take approximately two hours for the parade to wind through the downtown area, starting around 11:30/11:40 a.m. at 108th Street and making it’s way down Jasper Avenue to 101 Street by the time the broadcast on Global TV starts at that location a few minutes after noon (the parade will also be live-streamed on Global’s Facebook page). From there, the parade will head north to 103rd Avenue, where it will then turn west to its conclusion at 103rd Street. After Cambree finishes singing pre-parade, 175 dancers will perform at the performance site at Jasper Avenue and 101 Street. The Stollery Children’s Hospital has a float built by donations of materials and labour that includes a self-contained hydraulic wheelchair ramp so children in wheelchairs can participate while GTR Turf has a 15-foot inflatable football player on its float. 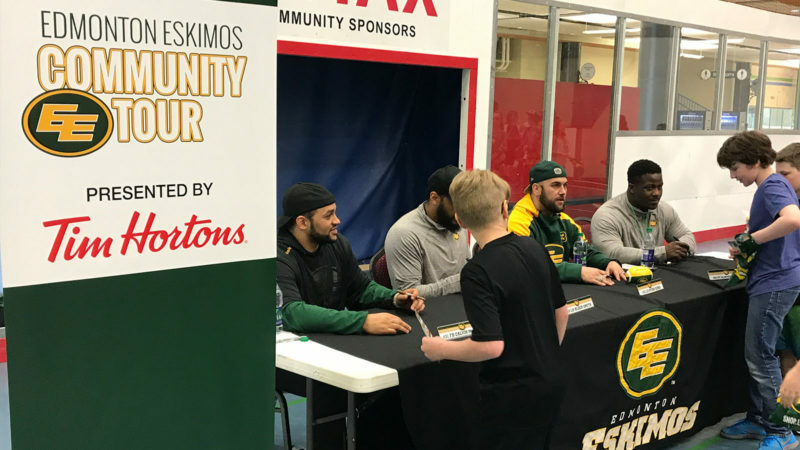 The Eskimos will have several players – offensive linemen David Beard, Matt O’Donnell and Justin Sorenson along with kicker Sean Whyte – and Kids Club members on their historic fire truck. 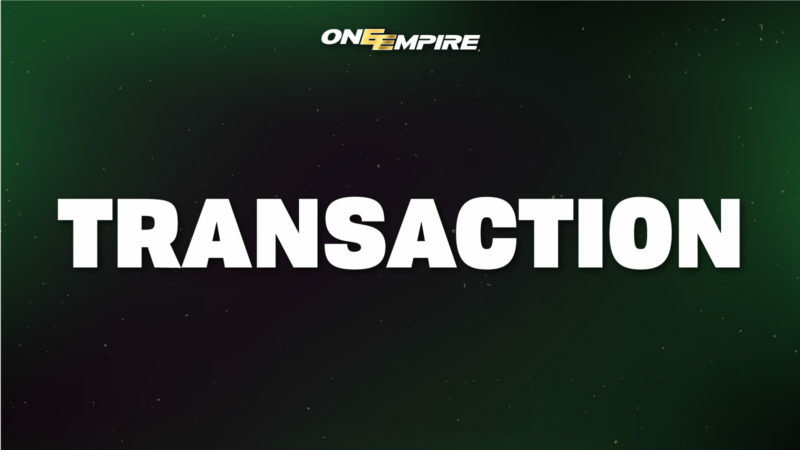 The Eskimos Cheer Team and Esks Force Hype Team and Esks Force Drum Line will also be involved. The other seven CFL Cheer Teams in town for the Grey Cup will also be in the parde along with nine members of the CFL alumni in two of Nissan TITAN trucks right before CFL commissioner Randy Ambrosie, who’ll also be in a Nissan TITAN truck and escorted by four RCMP officers in the full Red Serge. Calgary will have a large contingent, including horses and outriders. The Spirit of Edmonton has been spoiled this year by getting the opportunity to hold its fun-loving party room in the second-floor ballroom at The Westin Edmonton after being shoved out to the boonies or out-of-the-way locations in recent Grey Cups. Fortunately, Haracsi said he’s had some good meetings with the CFL Grey Cup committee of late. “They know our frustrations and we’re working together now to, hopefully, get a great spot in Calgary next year,” he said. The Nissan Titan Street Festival will feature free activities and entertainment from 11 a.m. until 11 p.m. The Capital Power zipline, Epcor Street Ski, Jiffy Lube Slide and River Cree Bungee are open from 11 a.m. until 9:30 p.m. The Cooper Equipment Entertainment Stage runs from noon until 9:15 p.m. Whale & The Wolf (alternative/indie rock) starts the program at noon, followed by Kirby Sewell (Calgary blues band) at 1:30 p.m., Andrew Hyatt (up-and-coming country-rock artist from Sudbury, Ont.) at 3 p.m., The Static Shift (Calgary-based rock band) at 4:30 p.m., country singer Tebey (originally from Ontario but now residing in Nashville) at 6 p.m. and Tim Hicks (country singer from Niagara Falls who had the popular hit Stronger Beer in 2013) at 7:45 pm. The Spirit of Edmonton – 2 p.m.-1 a.m. at The Westin Edmonton. $10 cover charge. Here’s a list of the other CFL team party rooms: B.C. Lions Den (3 p.m.-1 a.m. in the Riverview Room at the Shaw Conference Centre, $5 cover charge between 3-5 p.m., $10 cover charge otherwise); Stamps House (noon to midnight in the Empire Ballroom at the Fairmont Hotel Macdonald, 10065 100th Street, $10 cover charge), Riderville (noon to 2 a.m. Saturday in Salons 8-12 at the Shaw Conference Centre, $10 cover charge), Bomber House (8 p.m.-2 a.m. at Hudsons 109, 10141 109th Street), RNation Party (6 p.m.-10 p.m. at Revel Bistro & Bar, 9802 Jasper Avenue), Black & Gold Pub Crawl (Vanier Cup Viewing Party 10 a.m.-3 p.m. at Central Social Hall, 10909 Jasper Avenue; 6-11 p.m. at The Canadian Brewhouse, 10338 109th Street), Atlantic Schooners East Coast Kitchen Party (noon-1 a.m. in Hall D at the Shaw Conference Centre, $20 all-day pass), Argos Shipyard (6 p.m.-1 a.m. in Salon 4 at the Shaw Conference Centre), Montreal Huddle (7-10 p.m. at Anthem, 10736 Jasper Avenue. $20 cover charge). Calgary Grey Cup Committee Stampede free breakfast, 11 a.m.-1 p.m. at Telus Park (between Union Bank Inn and ATB Place), 10053 Jasper Avenue. Seventy high school football players from across Canada will compete in the first Nissan All-Canadian TITAN exhibition game from 5-8 p.m. at Clarke Park. Best-of-three semifinals in the first Grey Cup Festival Esports Tournament for gamers from noon-4:30 p.m., best-of-five finals from 6-10 p.m. at the Grey Cup Gaming Zone at the east end of the Festival site. Eskimos veteran offensive lineman Justin Sorenson will be the guest coach at the Edmonton Police Service flag football game against Edmonton Fire & Rescue Services at 7 p.m. Saturday at the Syncrude Mini Field, which has events scheduled from 10 a.m. until 10 p.m. The Spirit of Edmonton breakfast, 8 a.m.-noon at Shaw Conference Centre. Athletes in Action Grey Cup breakfast, 8-10 a.m., Hall D at Shaw Conference Centre. Canadian Football Hall of Fame reception, presented by EMCO, 2:30-5 p.m. at Enbridge Centre, 10175 101 St.
Maclab Development Group Cheer Extravaganza, 3-5 p.m. at Hall C of the Shaw Conference Centre, featuring eight of the CFL’s nine Cheer Teams. Coors Light Concert with Canadian crowd favourites Kim Mitchell, Loverboy and Trooper, 8 p.m.-1 a.m. in Halls A, B & C of the Shaw Conference Centre.